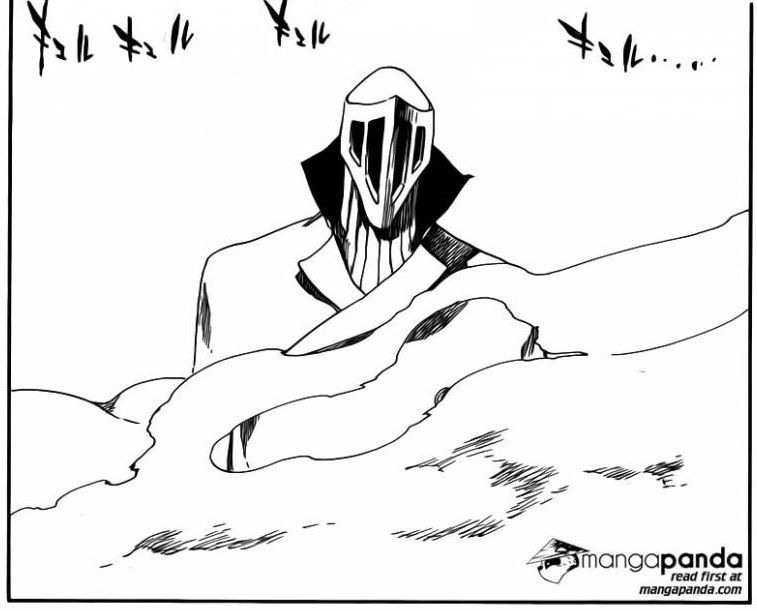 Meanwhile, Bazz-B remembers Hitsugaya, and recalls that Cang Du stole his Bankai. After they introduce themselves, Bazz-B creates a huge inferno, and Hitsugaya readies his sword. As an explosion pushes the rest of the Soul Reapers away like rag dolls, Matsumoto tells them to leave Bazz-B to her and the Captain. 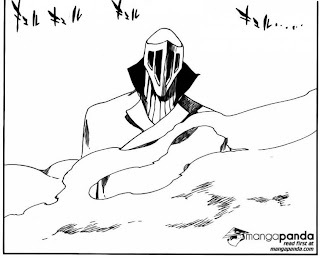 However, when two Soul Reapers examine the ice that Hitsugaya used to save them, it appears to be incredibly thin, and they begin to wonder if he actually stands a chance against his opponent. Bazz-B seems to have reached this conclusion as well, as he comments on how easily he can break the ice created by Hitsugaya’s Zanpakuto. 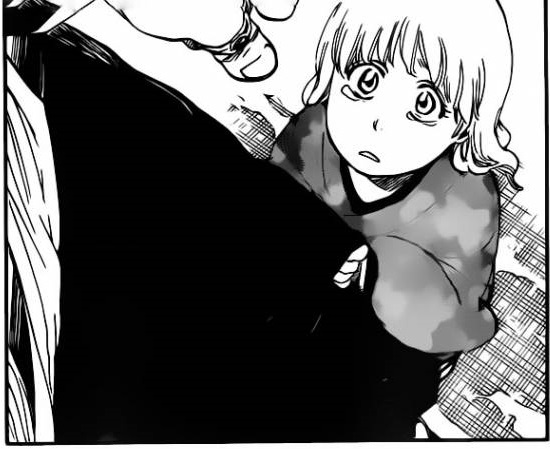 Matsumoto appears and lets the Captain know that the other soldiers took shelter, before offering to help. 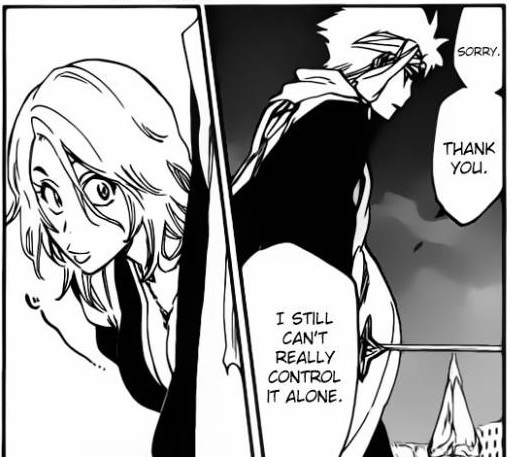 Hitsugaya admits that he’s having trouble controlling the ice alone, and Matsumoto gives him a fairly unsubtle stare. After saying that it’s cute that he’s relying on her, she unleashes her Zanpakuto and creates a wall of ash that Hitsugaya freezes. When Bazz-B tries to melt it however, his flames don’t appear to do anything to the ice at all. Upon closer inspection, it turns out that the surface melted, but the rest of the ice stayed intact. 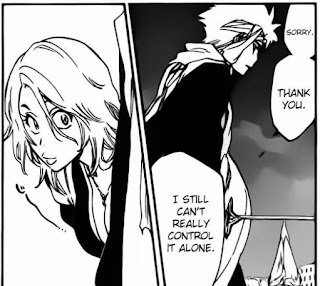 Hitsugaya explains that Matsumoto created multiple thin walls with her Zanpakuto, which Hitsugaya then froze, creating a number of thin ice walls that add up to create a big defensive wall. Apparently, the only difference between Hitsugaya’s Shikai and Bankai is the quantity of ice it can produce, and so he had to team up with Matsumoto to overcome that difference. "I'm sorry, who's the Captain here?" Upon hearing this, Bazz-B gets worked up and sends a wall of flame towards the Soul Reapers, only for it to be blocked by the ice. Hitsugaya again states that the flames cannot pass through his wall, and then stabs his opponent with a blade made of the thin ice. Last week, I said that there were 7 Captains and 7 Quincies unaccounted for, and so it would be easy to match up fights. However, I completely forgot about the Lieutenants, so they should make things a bit more interesting. That being said, I honestly can’t see Marechiyo putting up a good fight against BG9. I mean, one fighter has a big mace. The other fighter has a stinger missile launcher. Unless someone else steps in to help him, Marechiyo will probably go down fairly quickly. "Well, this is mildly inconvenient." 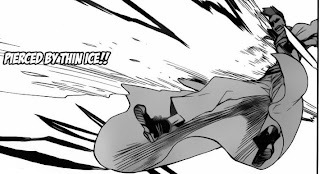 Hitsugaya’s method of fighting Bazz-B was interesting, as at first I just thought his ice was too cold/dense for the flames to melt, which would have been a bit of a cop-out since he’d lost his Bankai. However, this strategy was much better and more thought-out, and it’s a nice touch to see a decent strategy used by the Soul Reapers besides that of ‘attack, attack, attack’. Whilst not as good as last week’s chapter, this one was good as we got to see Hitsugaya face off against Bazz-B and come up with a well-implemented strategy. However, some of the time spent with Marechiyo felt like padding, and I can’t for the life of me figure out why Tite Kubo bothered to put Marechiyo’s little sister in the story at a time like this. Good Things: BG9 finally enters a proper fight. Good fight between Hitsugaya and Bazz-B. Bad Things: Marechiyo’s little sister seems useless to the plot. Most of Marechiyo’s section felt like filler. ClayDragon is currently studying Physics at university, and is constantly bewildered by it. The main method of contacting him is his Gmail account at kyleroulston1993@gmail.com. The alternative is his Skype account at kyleroulston1993. When not playing games or reading, he can be found with his head in his hands whilst trying in vain to understand quantum physics. He will be on holiday in Italy for a week. 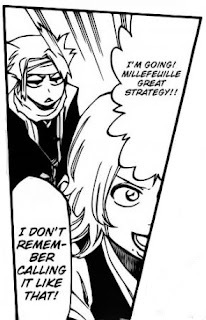 Anyway, filler in the bleach manga is nothing new. But Hitsugaya"s "logic" and "science" used to beat Bazz B is total rubbish. How does a vacuum in between ice randomly make it invulnerable to fire? Couldn't you just break it? Although Kubo will probably pull some stupid move to make the fight take up more time, Bazz B just stood there like an idiot without thinking of a idea to beat that. I can't think of an idea. Let's ask Piccolo. The H stands for heat, I think. The vacuum is actually a valid strategy, it works the same way as double glazing windows. The ice is still dense, so it doesn't smash easily despite being thin. Also, Bazz-B hasn't been shown to be very bright, so strategising probably isn't his strong point. And if we're asking Piccolo, he'd probably just throw someone at a plateau. That's a reference to Team Four Star's Dragon Ball Z Abridged. vacuum has no oxygen dude, where there is no oxygen there no fire either. So fire cannot penetrate all thin ice wall as fire goes off in vaccum instantly. It seems like we need a scientist to decide these two questions. -How can a vacuum in-between ice protect the ice outside it? 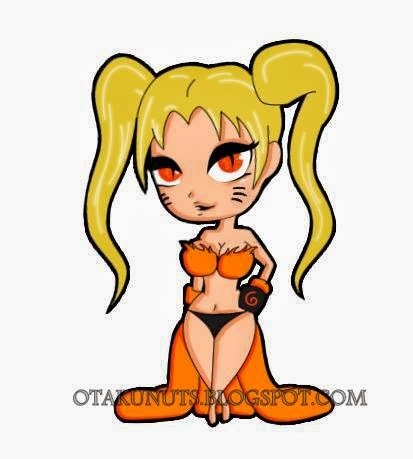 -Where did fanservice-character's dust/sand Zanpakutou go after it went out of shikai? Did it vanish into thin air? But unfortunately, scientists don't read Bleach. They're much too smart to do that. I'm actually studying physics at University, so I'm probably as close to a scientist as you'll get. 1.) The first layer of ice gets melted as normal, but due to the lack of air in the vacuum, the fire can't burn, and so gets put out. This means that only one ice layer out of many actually melts. Bazz-B could get through the ice, but it would take too long to melt through all the layers. 2.) Matsumoto's ash from her Zanpakuto created the shape around which Hitsugaya's ice formed, and was also probably used to push the air out of the gaps between the ice, thus creating the vacuum. No one can decide for sure that fire will beat ice .. it is a manga and it is up to the author which element would be stronger .. The ice in Village of the Sun would not melt so should it go to say that ice will prevail against fire ?